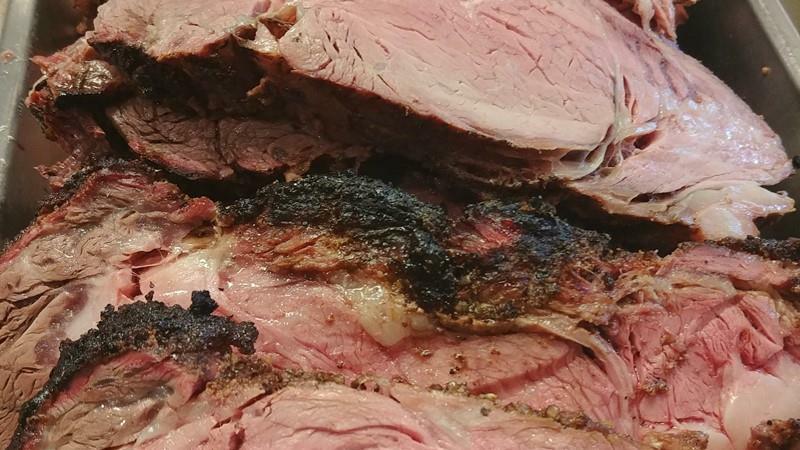 From start to finish, your satisfaction is our prime goal. Check out our tailored hunting and fishing packages, designed to maximize your enjoyment during your stay with us. Our guides know how to get the most out of every excursion, and the Castaway Lodge is the perfect compliment to your trip, offering a great place to relax and unwind after a hard day's 'work'! 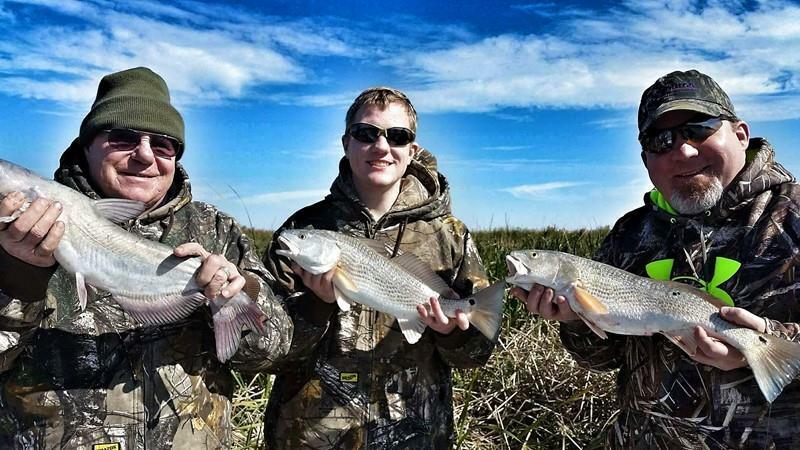 Our most popular hunting trips frequently involve a morning or afternoon of bay fishing for Trout and Redfish. These combination trips offer the best of the Texas Mid-Coast and make for memories of a lifetime. 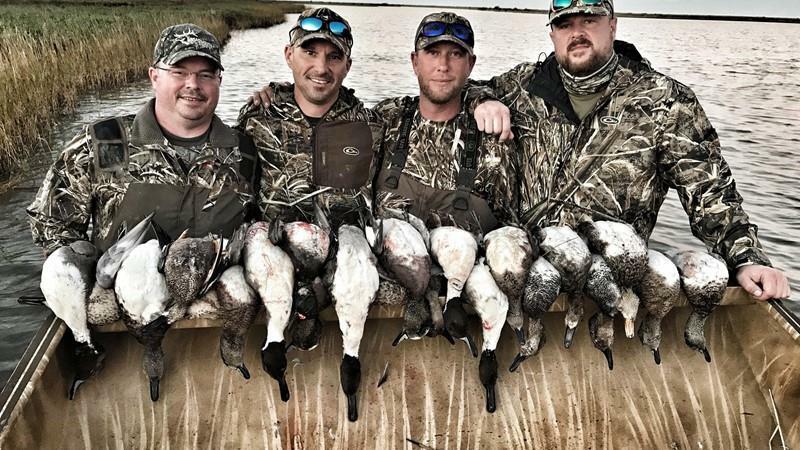 We offer cast and blast combinations trips including a morning duck hunt followed by an action package afternoon fishing trip. September finds us in hot wing shooting for early Teal then hitting the water mid-morning for fishing. 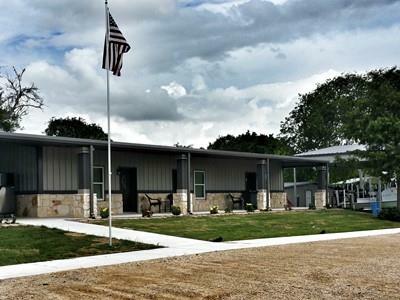 On Dove hunts, we always fish the mornings then come back to the lodge and relax and retool for afternoon hunts. 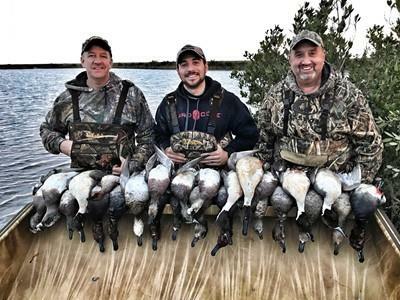 During the regular waterfowl season starting around the first of November, we typically hunt the mornings then come back to the lodge for a hearty lunch and retool for afternoon fishing adventures. Night Vision hog hunts are a ton of fun, conducted at night over baited locations with professional blinds or spot and stalk during the September grain season. We shoot the latest generation of Night Vision using AR-15's in heavier calibers. 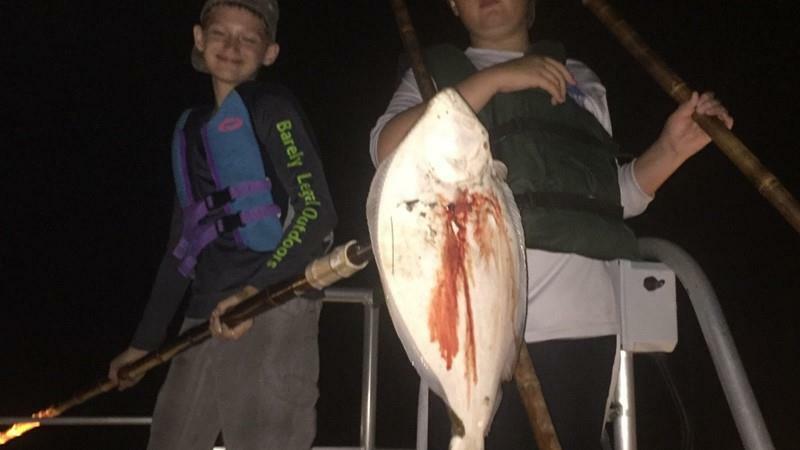 We can add night activities like hog hunting or flounder gigging to any trip package. 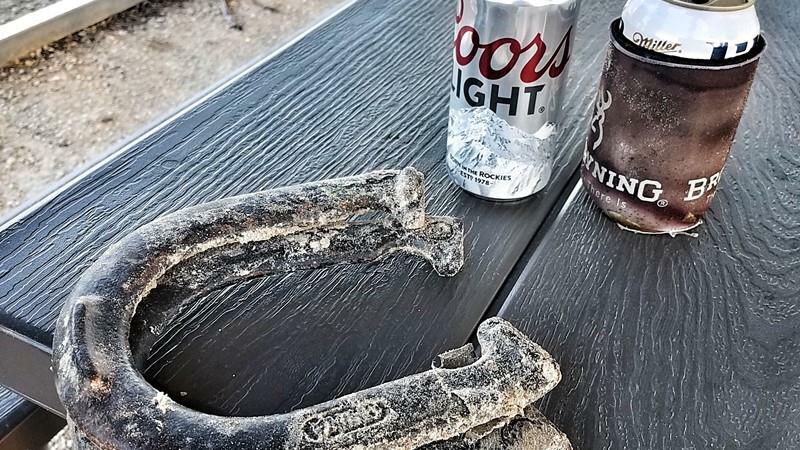 Learn more about our Cast & Blast combinations. 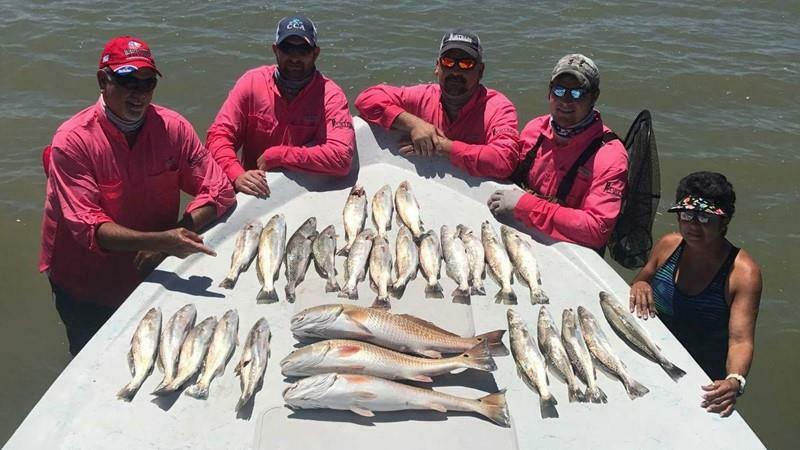 Welcome to the ultimate destination on the Texas Gulf Coast for Specks and Reds. 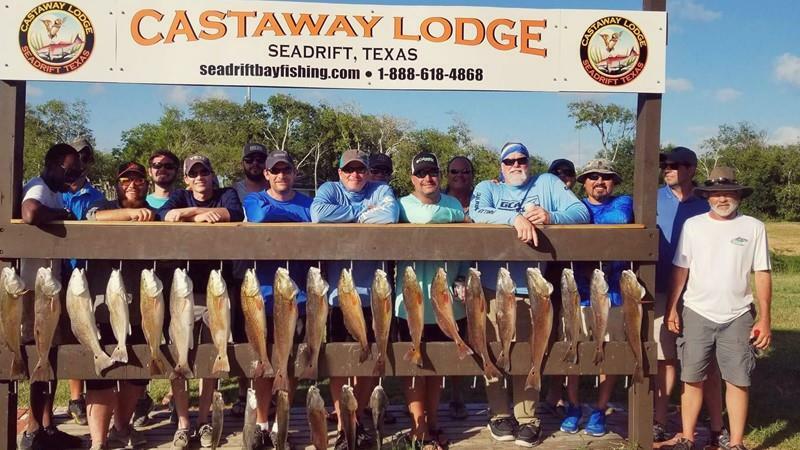 Join us for a day on the water fishing for Seadrift Trout & Redfish from our fleet of Texas style flats boats including the all new game changer on the water, the 23 Haynie Cat. Welcome to the leaders in airboat redfishing trips on the middle coast for two decades! 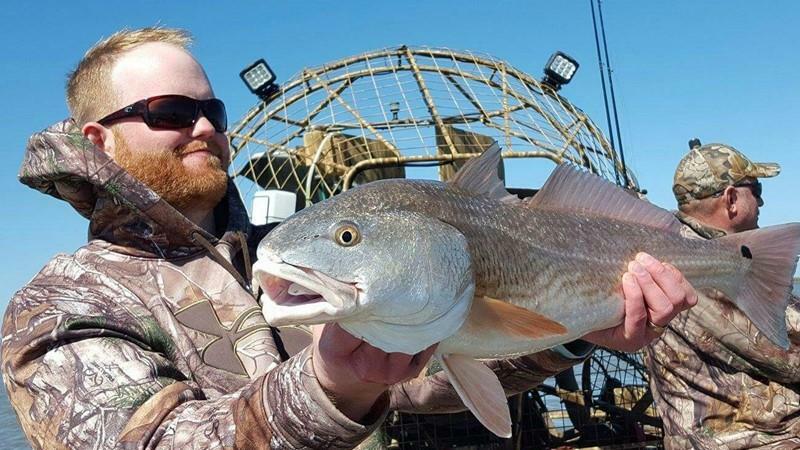 Hop in one of our newest American Airboats and let's get into the back country with the best fishing guides on the Texas coast! If you like a big fight, put this fish in six inches of water and HANG ON! Texas Redfish are known for big things, and you'll love the pull of a fish that just doesn’t want to give up! 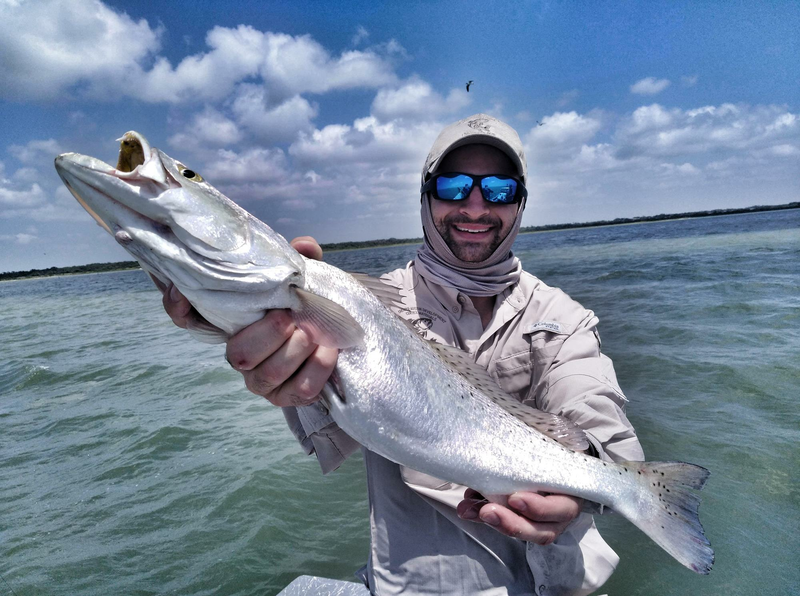 Getting wet is an approach favored by avid Texas Saltwater anglers. We offer wade fishing trips for our guests that "prefer" to wade fish. There are days when this is a tactical advantage due to wind and weather. Whether using live bait or artificial lures, wade fishing the reefs, shorelines, and back lakes is sure to get you close to the fish. Whether looking for a close-in staycation, new adventure or, client entertainment, you'll find the the best guides and accommodations in the business at Castaway Lodge. Throughout the grounds you'll find WIFI, well thought out logistics, comfort and convenience set in a "coastal casual" atmosphere. 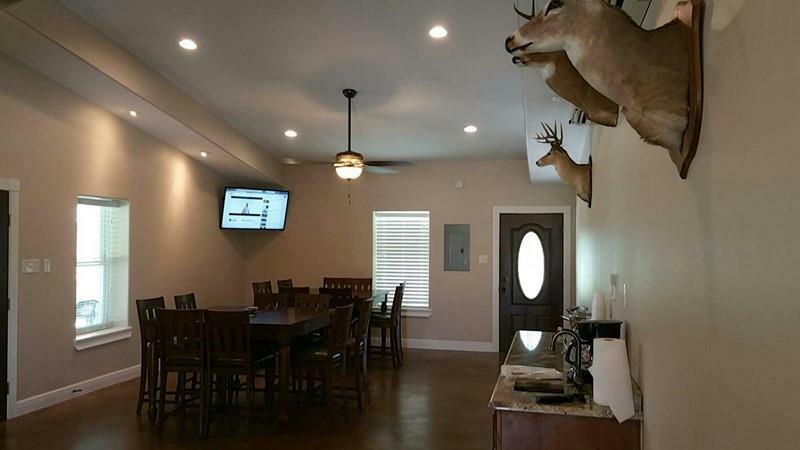 New for 2016 are new focal points including the Dining/Conference Building with seating for 40 guests trimmed in knotty Alder built-ins; soaring ceilings and taxidermy and the smells of Wendi's home cooking. 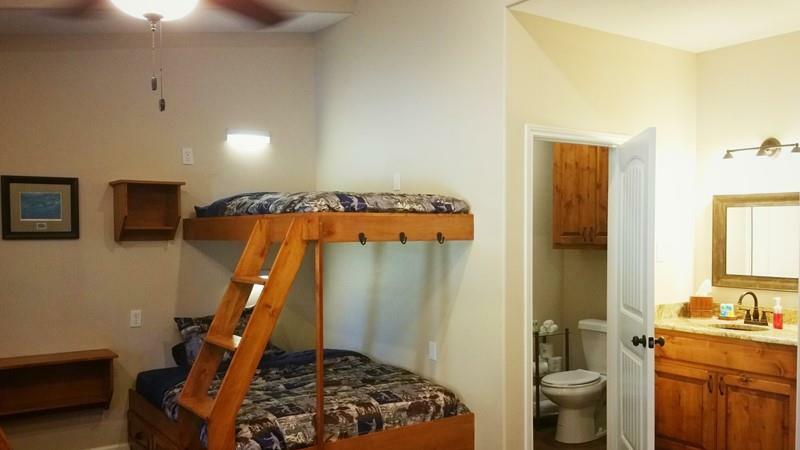 Now with plenty of leg stretching room, the New for 2016 Bayou complex is another huge focal point with upgrade accommodations for up to 24 guests with massive wrap around porches; full size beds for couples; built-in gun racks; in room refrigerators and much, much more. See the full list of amenities below. Directly adjacent to the Dining/Conference building and the outdoor kitchen and consists of private bedrooms and in-room bathrooms and a large Great Room. The Great Room offers relaxed conversation and is centrally located with with all the comforts of home! There is a large outdoor kitchen which is a focal point around dinner time and is a massive conversation area with wet bar and big screen TV; outdoor fireplace; and, consisting of 2,500 sf of entertaining area. 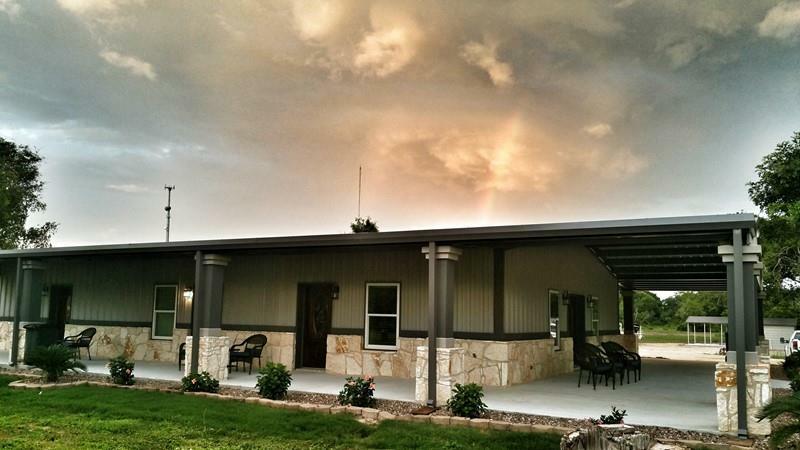 At Castaway Lodge you can expect "The Tastes of Texas" made with the freshest ingredients; local along with our garden grown produce; and, seafood made fresh daily. Baked delights and desserts served nightly. 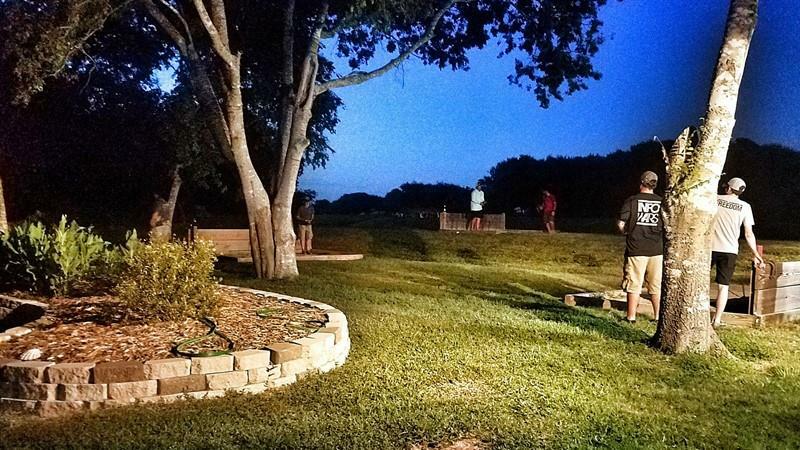 Kicking around the lodge at night, our facility is set up with multiple tables for poker and dominoes; 500' of bayou frontage with 2 pavilions; picnic tables; 4 horseshoe pits; and washer boards.